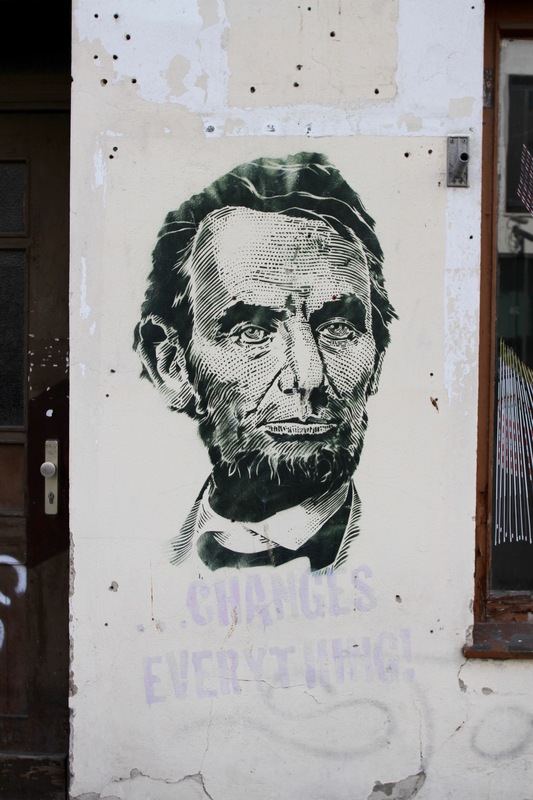 A few years ago, in an act of angst-ridden destruction, one of the artists who created a couple of Berlin’s more famous pieces of street art, spent a night painting over them. 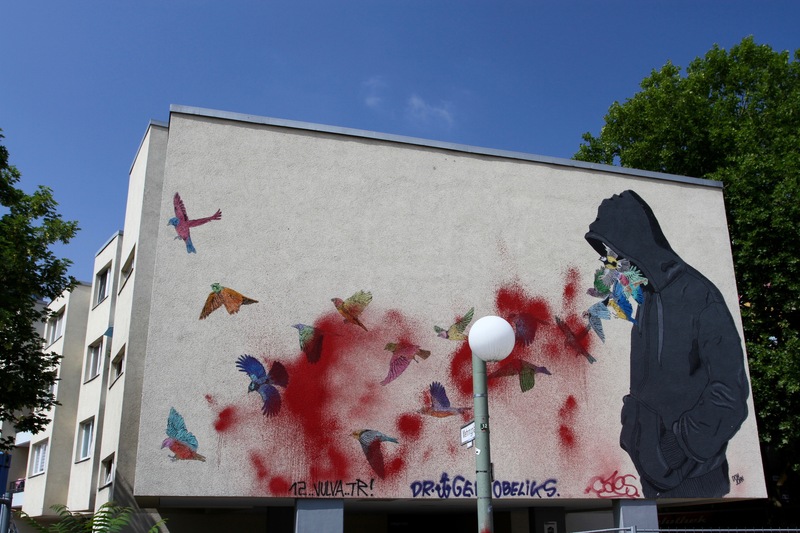 This he explained, was done as a symbolic gesture against the role the artworks had in aiding and abetting the gentrification of Kreuzberg, an area of the city regarded as a mecca for artists thanks to its cheap housing and counter-culture cool. That ‘coolness’ attracted well-heeled residents and was appropriated by property developers to push up prices. For those who worry about such things, the green shoots of gentrification are but the harbingers of worse to come: full blown capitalism in the form of high street brands. I recently walked down a street in Kreuzberg on my way to a good Mexican restaurant (an act that itself is probably gentrifying), and overheard someone telling their visiting friends how a Subway in the neighbourhood had been repeatedly vandalised. There was pride in the way he told the story, an emblem of his own coolness. Subway seemed to be selling plenty of sandwiches when I walked past it later. A year before the iconic Kreuzberg art was painted over, British artist, Grayson Perry, stated (probably tongue in cheek) that artists were “the shock troops of gentrification”. It sparked a debate that has yet to subside, and which has become the focus of serious study. Gentrification, the narrative goes, pushes up prices and pushes poorer residents (artists included) out, creating cultural wastelands and become the very opposite of the vibrant neighbourhood that attracted people in the first place. Worse than this though, neighbourhoods often experience a sort of social apartheid, becoming exclusively for those with the cash. Just take a look at what has happened in parts of London, New York and most other major cities. 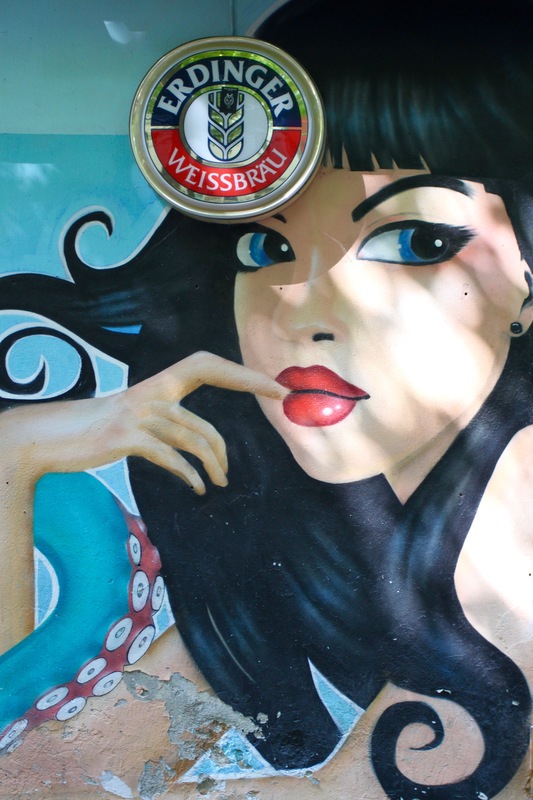 This is a fate that many fear for Berlin, a city already teeming with hipsters, as more and more digital start ups descend on the city. For many, that is a good thing. Berlin is catching up with the 21st century, but for those who would prefer a different type of change, it is a challenge. 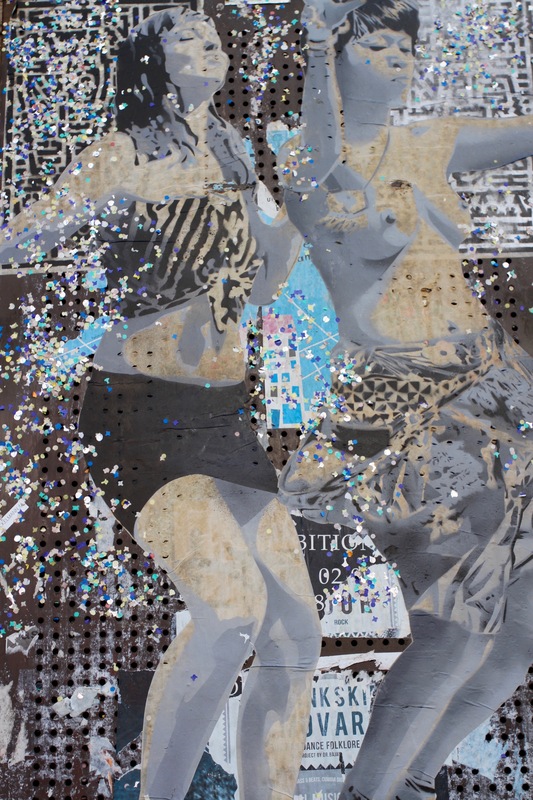 Whether street art is partially to blame is an altogether different question. Against this backdrop, and with a little trepidation that I might be contributing to the social version of coral bleaching, I’ve been photographing random bits of street art as I’ve made my way through the city. 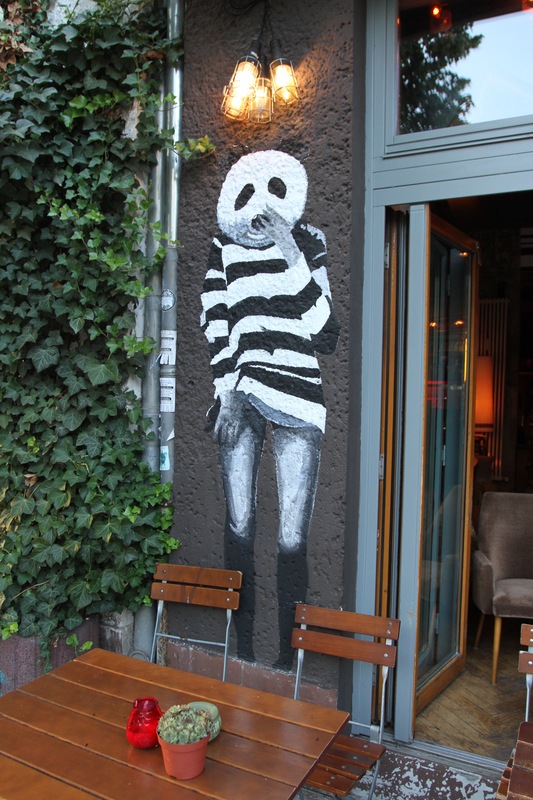 It would be fair to say that Berlin doesn’t disappoint. 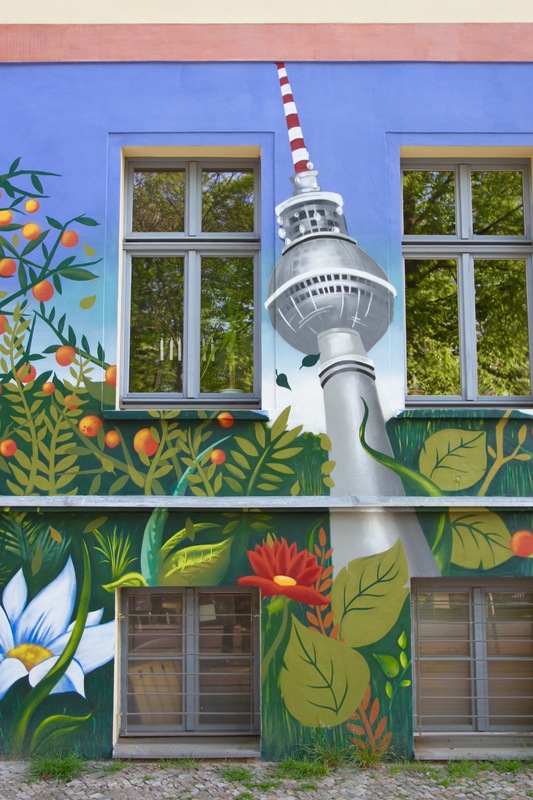 Like many other ‘global’ cities, street artists have been attracted in their droves, Berlin’s unique history making it a strangely glamorous canvas. That’s not to say it’s all glorious, building-sized pieces that transcend the mundane. The plague of ‘tagging’, a form of street art that I just don’t get and which singularly fails to engage me, is virulent. 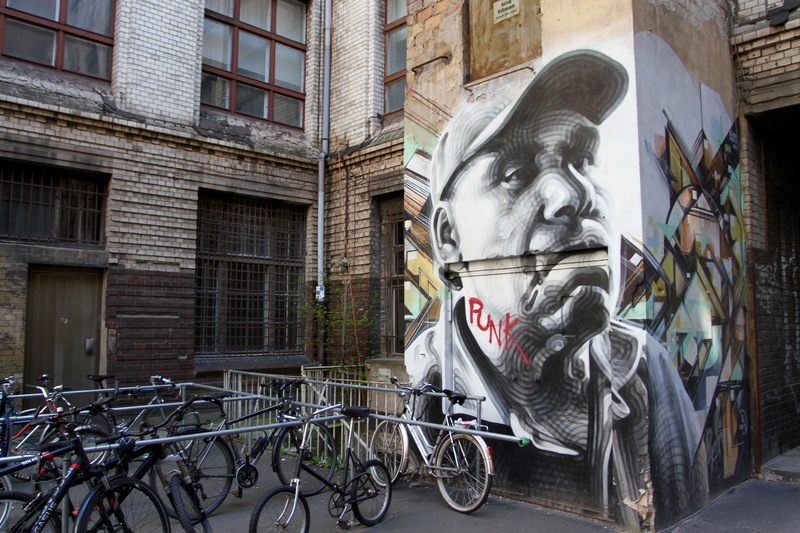 It depends which bit of Berlin you’re in, but tagging can be found on a lot of buildings. More interesting for me, there are hotspots of more substantial art pieces in several neighbourhoods. These range from the whole side, front or back of buildings, to small sticker art pieces. 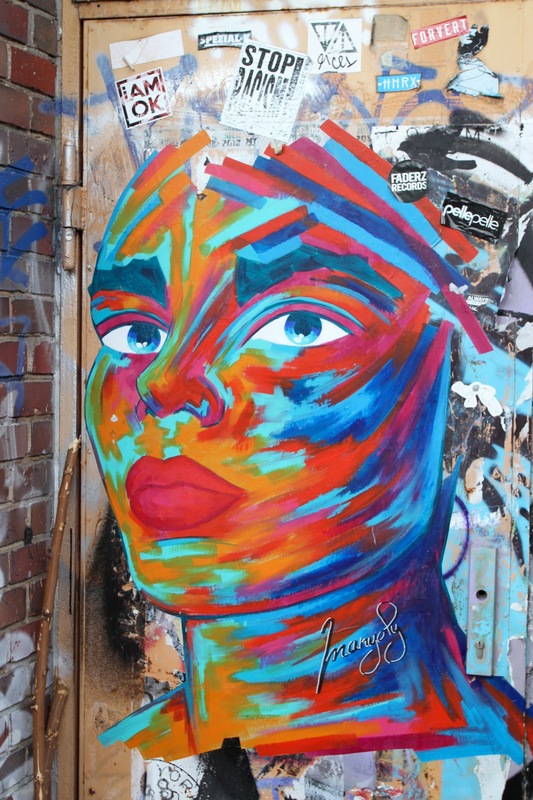 As a newcomer to the city, it’s interesting to explore new areas where there is a strong and creative street art scene. It makes aimless wandering more rewarding and much more fun. I occasionally stop in these neighbourhoods for food or a drink, even to visit the occasional museum. Hopefully this isn’t contributing to malicious changes in the social ecosystem. If it is I apologise, but the real culprits are surely the street artists? And as in Holland you seem to bring the sun with you. Maybe you could make a fortune as a “Sun wizard”? I wish I could claim the credit, Brian! The weather has been extraordinary. August was 30C+ almost every day, September not much cooler, and the start of October has ushered in an Indian summer. There have only been two days when it has rained (I’ve been counting). It’s bizarre. Berlin’s vegetation would be grateful for some rain. People have started watering the trees it’s so desperate. Having just got back from Kiev, where street art is everywhere, I wonder if that too is going to lead to gentrification. Certainly Kiev is being touted in some quarters as the “new Berlin” so it’s a bit worrying. 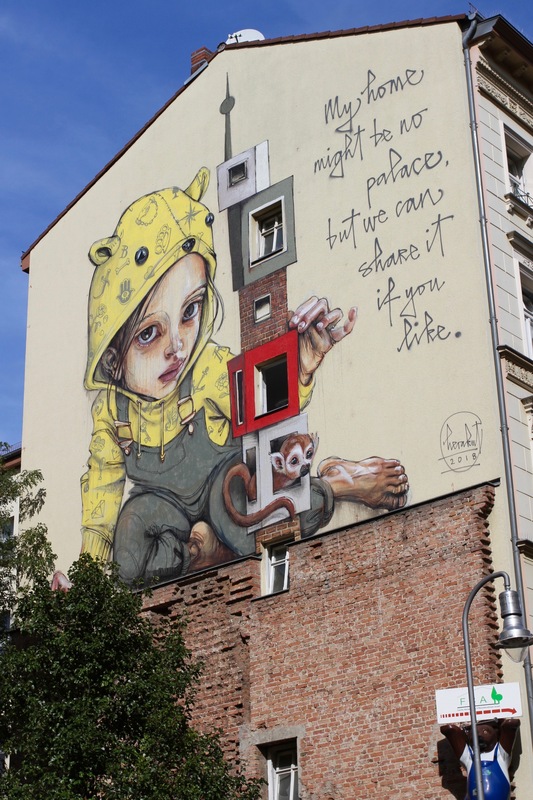 I’m loving this new series about Berlin, not just about the artwork, but your thoughtful reflections. Thank you. It’s a city that forces you to be more reflective, mainly because it’s so confusing!